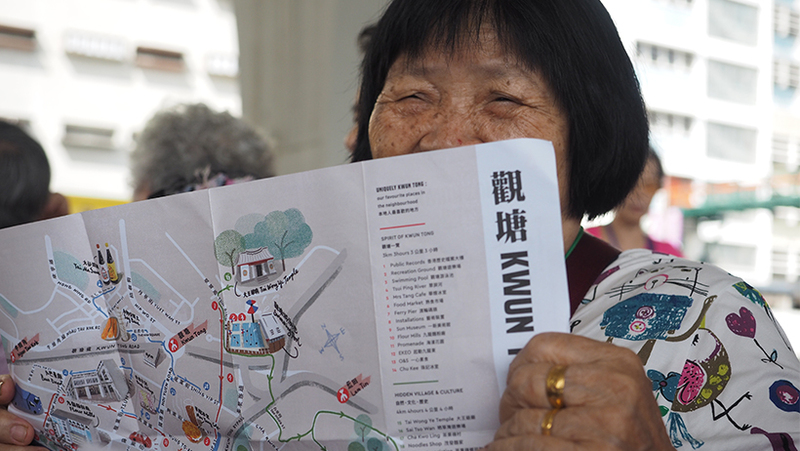 When iDiscover asked me to do the photography for a neighbourhood guide to Kwun Tong I had to look it up on the map. 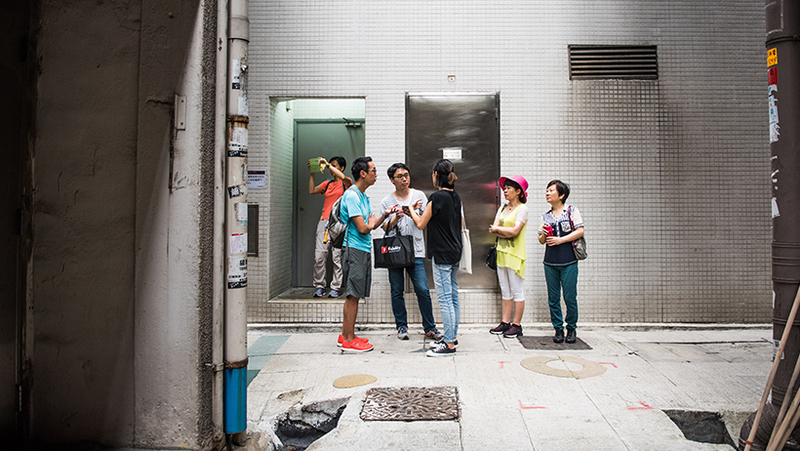 My job as a photographer takes me all over Hong Kong, but Kwun Tong was uncharted territory. Known for large housing estates and industrial buildings it wasn’t a neighbourhood high on my ‘cool places to go list’. 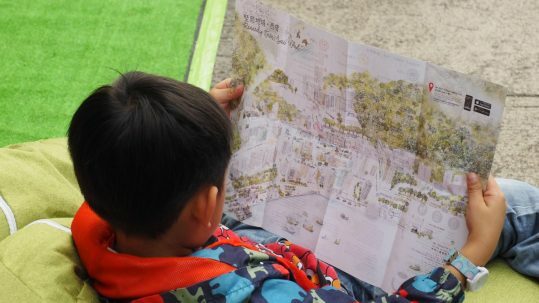 But how lucky was I to explore the streets of Kwun Tong through the eyes of a jolly and passionate bunch of locals who showed me their favourite places. 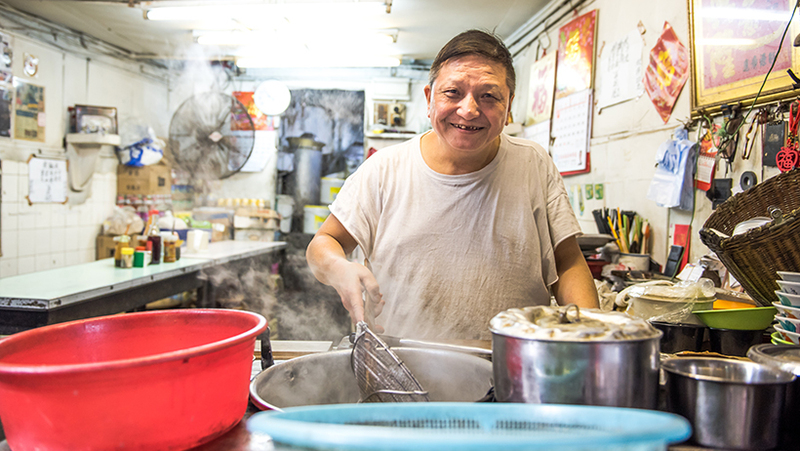 A massive source of inspiration for an urban photographer and a rare chance to see the raw and real Hong Kong. Even for Hong Kong standards, Kwun Tong is a bit daunting. Factory workers in white vests push carts with boxes to big lorries, a cigarette hanging in the corner of their mouth. Buildings where you don’t quite know where the entrance is and not a word of English. Not knowing where I was going to made me a bit nervous and I also did not quite know what to expect. 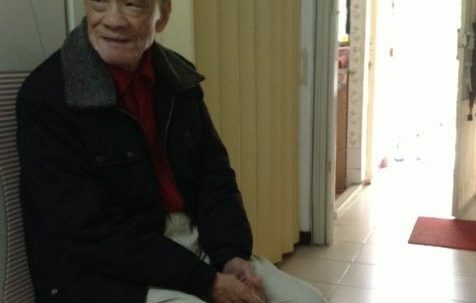 Judging from their hesitant smile, the aunties and uncles from the Christian Family Service Centre felt the same. So I decided to let myself be surprised by their stories in a district where they were born and raised. And how did Kwun Tong take me by surprise! While walking with my new friends and hearing their stories we passed a diverse landscape of industrial buildings and modern architecture. We passed street side eateries, graffiti walls, historic temples and strolled along the city’s most beautiful waterfront promenade. 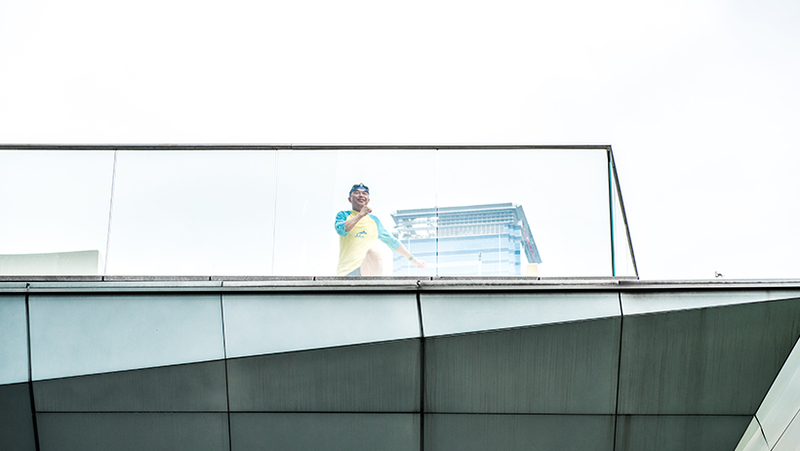 I saw a new perspective of Hong Kong and the photographer in me immediately fell in love with this gritty place and its people. 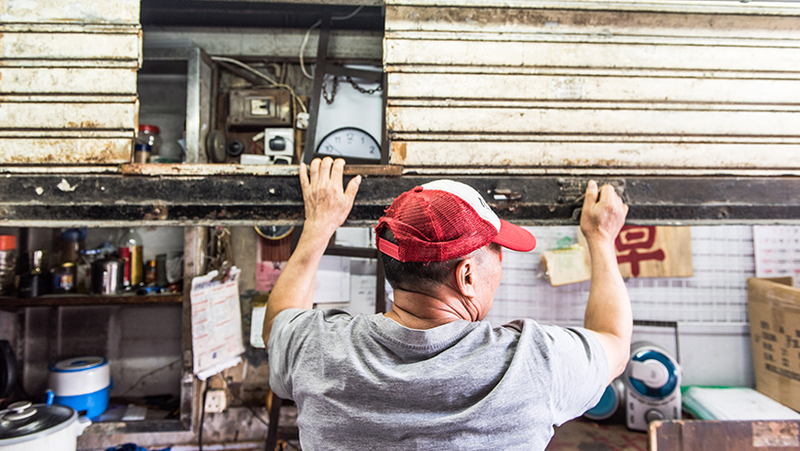 Summer was around the corner and the heat was building up in the Hong Kong’s urban jungle. I was lucky that Kwun Tong has so many back alleys to escape from the hot crowded streets. 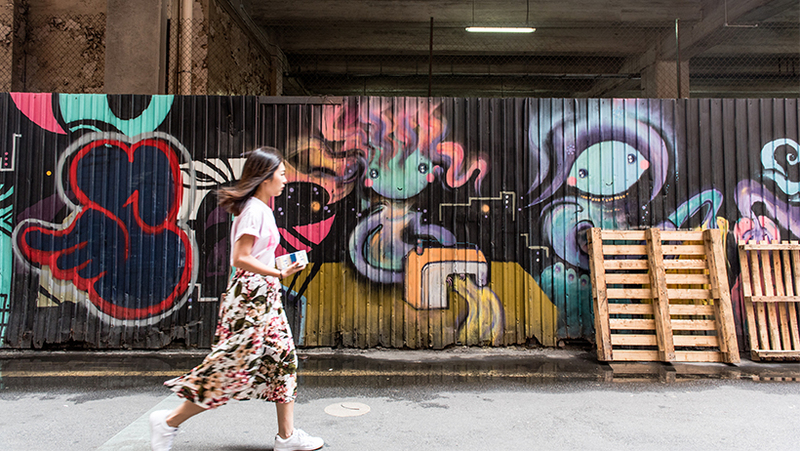 Taking these alleys is even more fun because of the edgy graffiti, art installations and neon signs. 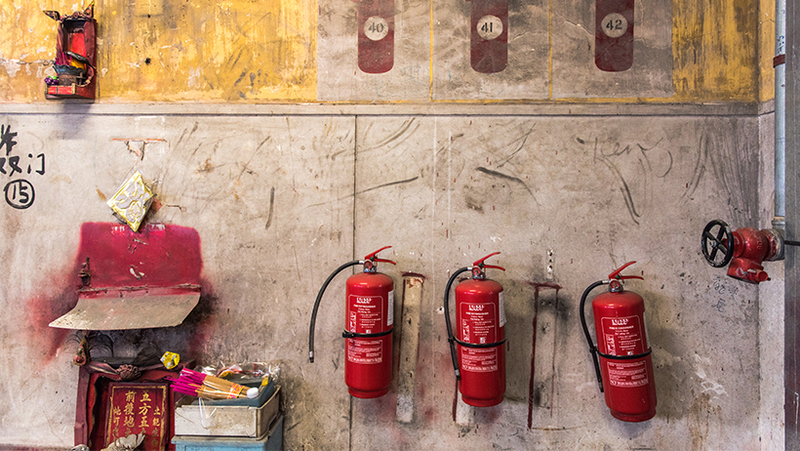 A tribute to the industrial powerhouse Kwun Tong once was. From the 1950’s to the 1980’s this was Hong Kong’s epi-centre of manufacturing. Full of factories that produced textiles, plastics and electrical appliances. Nice to know: in 1979, when the first MTR line opened, it led not to Central but to Kwun Tong. 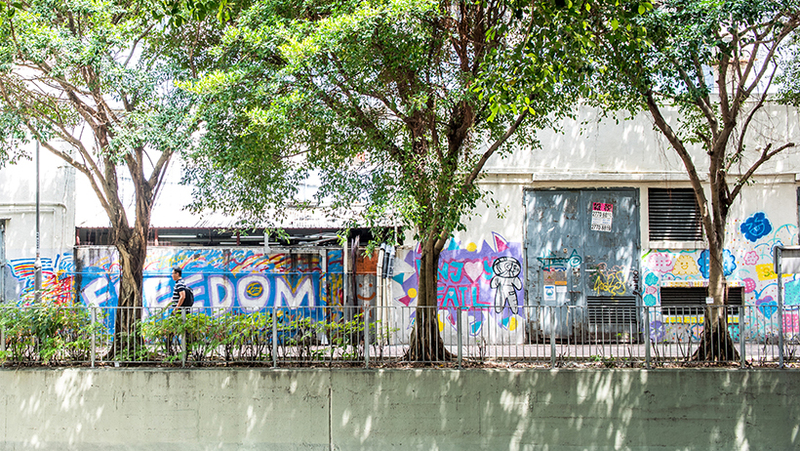 While walking, I learned that the back-alley graffiti project was a collaboration between artists and local schools. When you know where to look, you see subtle signs of community involvement throughout this neighbourhood. 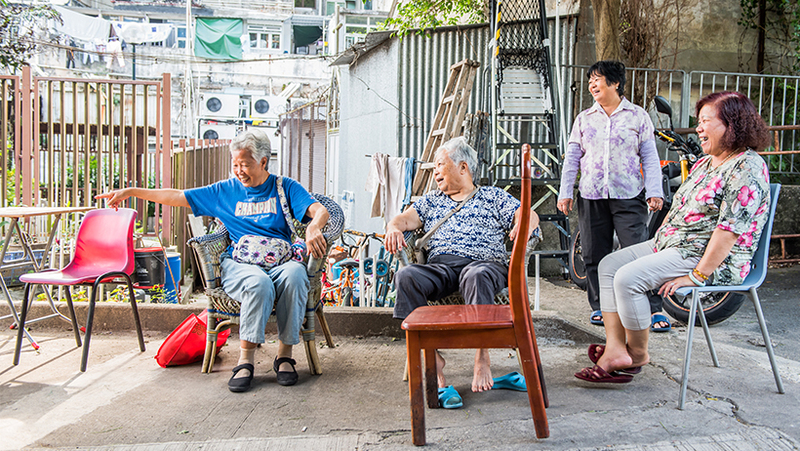 Like the aunties from Cha Kwo Ling who’ve pulled up a couple of chairs to create their own sitting out area. This is a community that cares about its environment and historical meaning. More than that, they make an effort to preserve their heritage of place. It made me wonder, for how long will these stories live on? Will they still be heard by next generations? 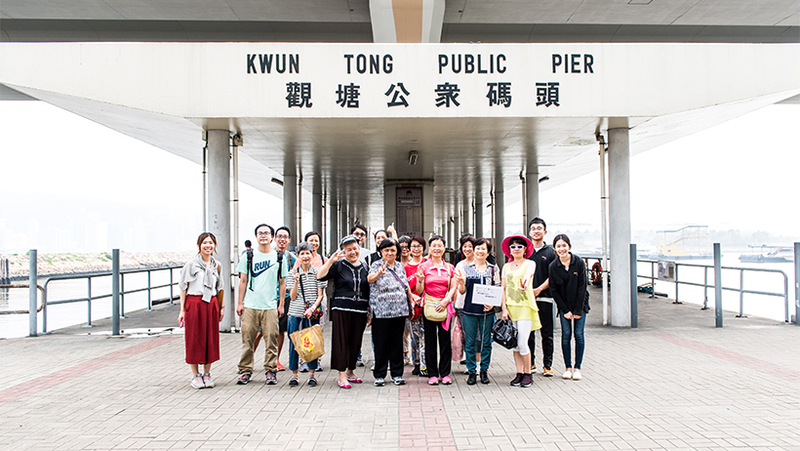 In the 1990’s when Hong Kong’s manufacturing industry relocated to China, Kwun Tong’s character changed. 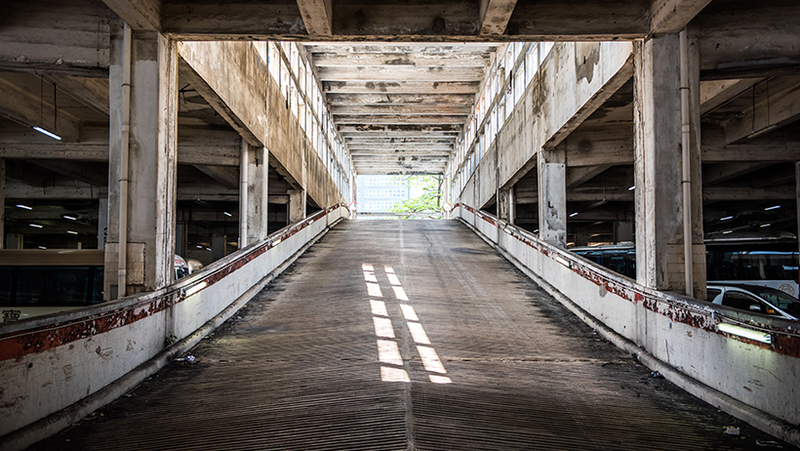 The large industrial buildings stood empty, it’s large floor plates needed a new lease of life. 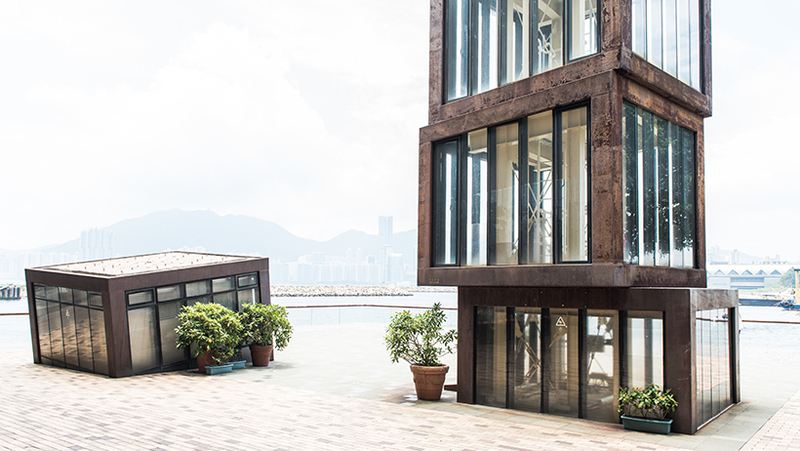 The Energising Kowloon East Office– operating out of some disused containers under a flyover – is leading the revival. They are the brains behind the new swimming pool and long waterfront promenade. This is where Kwun Tong changes character. A contemporary atmosphere and a more international look and feel. I enjoyed the mix of old and new and the fact that they tried to integrate glimpses of the past into its design. I loved the ‘stacked paper’ art installation, inspired by the paper recycling plant that once was here. Editor’s note (April 2018): sadly the bus depot is being demolished in and will be replaced by yet another glass skyscraper. I loved the small shops in the back alleys. In the oldest part of town Cha Kwo Ling – it’s history dating back to the days of salt production – you wander through a piece of history. We found a tiny shop selling mahjong tiles (one of my favourite games! 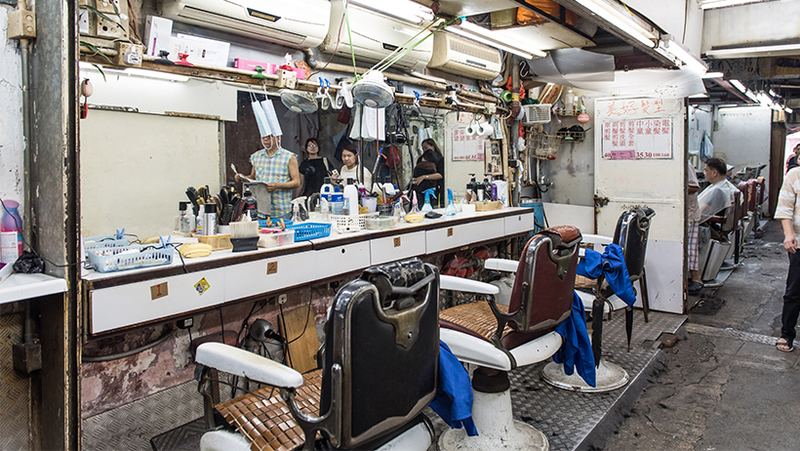 ), old barbershops, teahouses and noodle makers. All untouched by time. The tiniest shop I have ever seen, selling Mahjong tiles. Will it close down? As a photographer, I am always searching for unique and authentic stories and places. Kwun Tong was an unexpected visual delight. I hope the neighbourhood will keep that gritty industrious spirit and warm atmosphere. I loved exploring the area through the eyes of my new friends and capture its spirit through my photography. All I can say is: go there, the sooner the better! 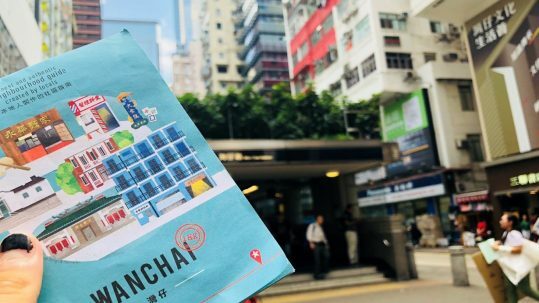 Download the free iDiscover app to travel like a local in Kwun Tong or buy the Kwun Tong map as part of the Hong Kong Neighbourhood Guide in the iDiscover shop. 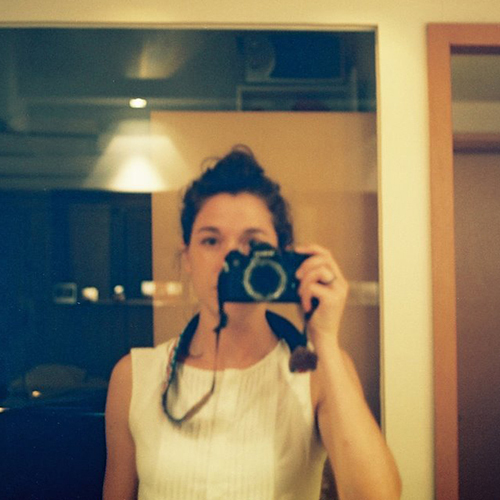 Sarie Moolenburgh is a Dutch South African photographer. After 8 years of working in branding and design, she transformed her photography hobby into a full-time job. When she’s not on the road for travel & lifestyle clients, she’s busy in the darkroom developing film and her own personal style. She explores the connections between people and their environment. Find more of Sarie’s work here.